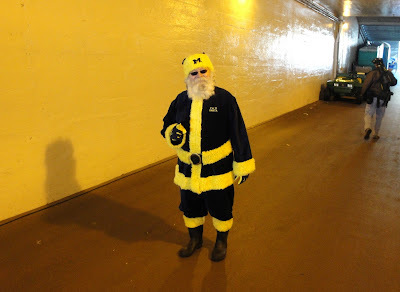 I caught Michigan Santa in the tunnel during his Big House visit in 2009. Unless something else crazy awesome happens in Columbus or news breaks on anything Michigan football related, we'll probably see you again next week. Merry Christmas from me and mine to you and yours.